I love tooling around in the kitchen. I have also been known to spend entire afternoons baking with a few glasses of cheap champagne. 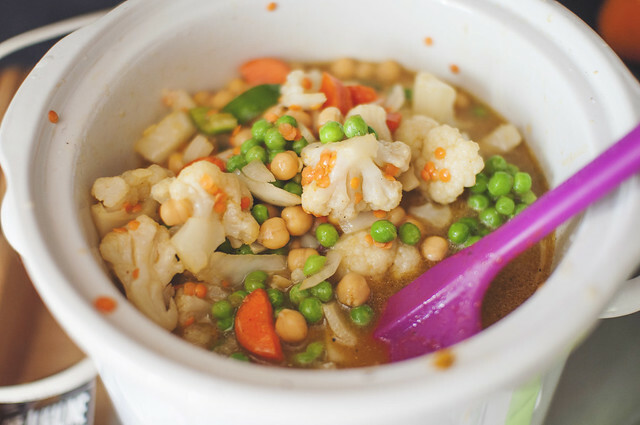 So, I was completely surprised when this "big cook" for the vegetarian freezer month got the best of me. At one point, I just stood back and marveled at the mess and the many, many things going on at once. "This is far more intense than Thanksgiving," I said, exasperated. I mean, that was a lot of recipes to make all at once. A lot. Here's how I kept it from getting too out of control + kept my sanity. If you can, try to cook meals you could make without looking in a book or on a webpage. If that's not possible, be sure to read over your plan a few times before diving in. Reading your recipes is a good practice to do normally, but when you're planning to make several simultaneously, it's almost a requirement. 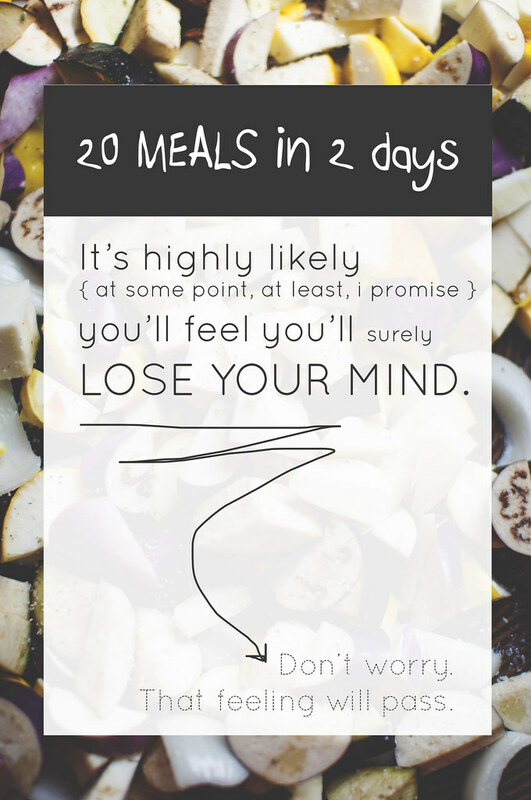 #2: Simplify prep as much as possible. Look for parallels in your recipes (or plan them that way). If you know that recipes 1, 4, and 5 all have chopped or diced onions and peppers -- make those together and prep the onions/peppers at the same time. If you know you'll be plopping cans of beans or tomatoes, open them ahead of time so you're not fumbling around looking for the can opener. Basically, let your kitchen become a (contained) explosion with everything you need on hand. #3: Use one large bowl for all kitchen waste. 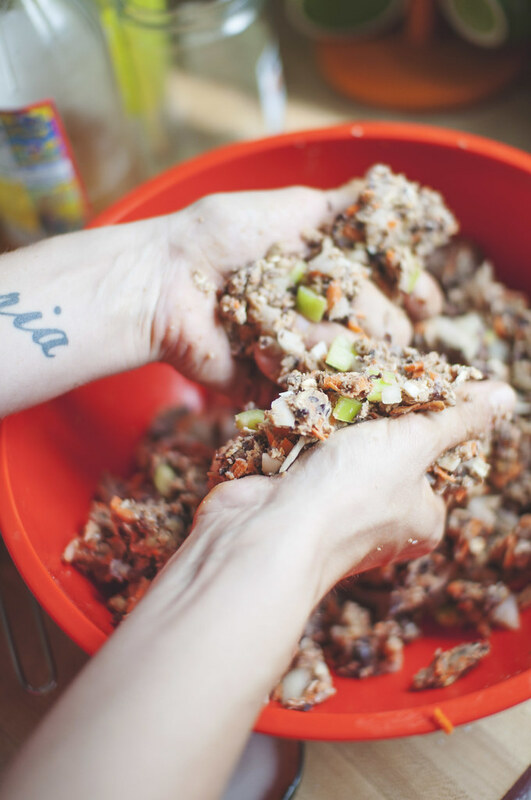 Whether or not you compost, catching all your organic food waste (and by that I just mean anything you can put in a composter) in a big bowl will help you clean up. 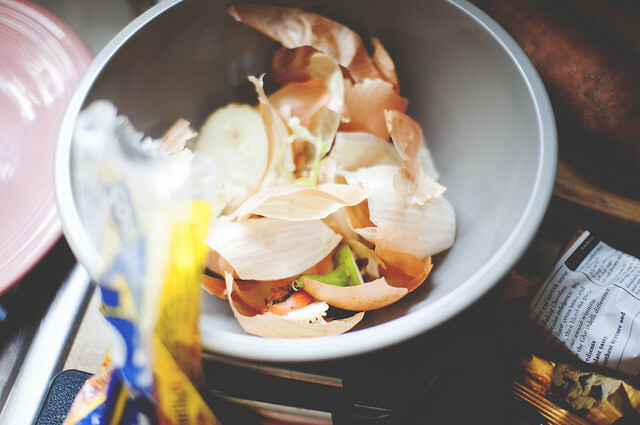 Instead of pushing it to the side of my cutting board or making trips to the compost bin (because there would have been many), this seemingly simple tip really did help save time and keep things tidy. #4: Utilize different cooking tools at the same time. Again, try to plan your cook this way because it will allow you to make the most food in the least amount of time. I planned a slow cooker recipe (Indian stew), a stove-top one (pumpkin chili), an oven bake (veggie lasagna), one that require nothing but mixing and mashing together (burgers), and another that could be made + risen while the others cooked (pizza dough). As much as possible, find ways to cut back on utensils, bowls, and other items needed to make your foods. 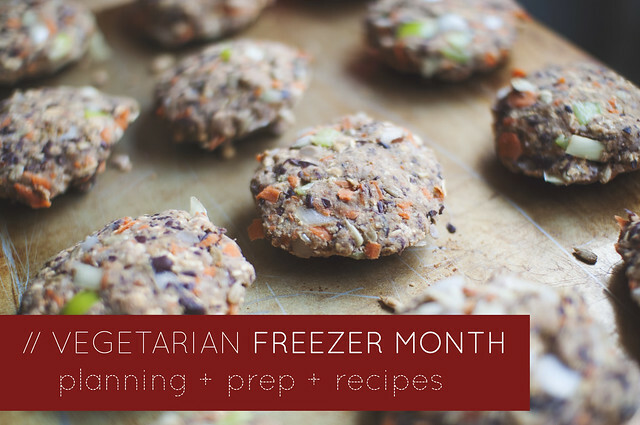 I used my hands to blend together veggie burgers (I chopped all the ingredients into small bits instead of using a food processor), to mix pizza dough, and to create a tofu "ricotta" cheese. Along these same lines, I used the same spatula to mix the pumpkin chili and Indian stew. And then again to prepare the sauce for my lasagna. Come to think of it, I did a quick rinse of the chili pot and used it to make that sauce as well. Less stuff equals less dishes at cleanup time. #6: Find novel uses for your tools. 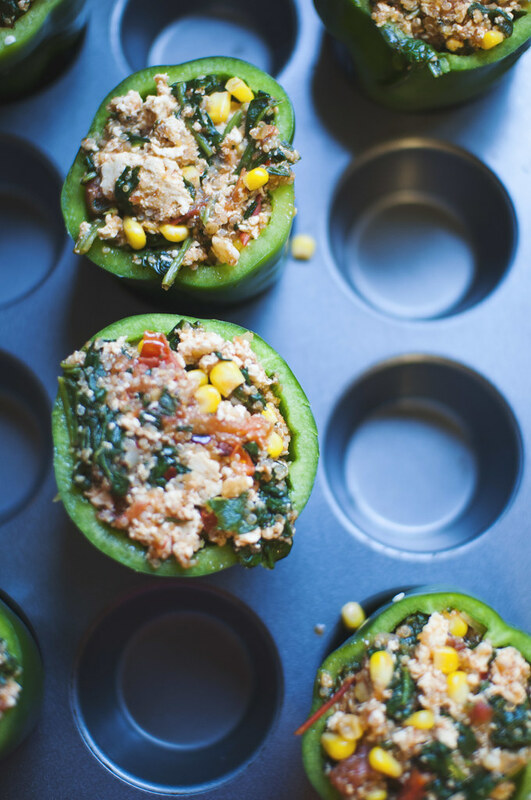 I ended up baking my stuffed peppers by placing them in the cups of my muffin tin. It helped me not have to fumble around when I filled up the cups. Then during bake-time I wasn't worried about dropping them all over the floor. And did you know you can make almost anything in a slow cooker? Yeah. I even found a sourdough bread recipe recently. Take a look at the things you have and think of new ways to use them to get the job done ASAP (and with minimal frustration). #7: Don't sweat the small stuff. If you forgot to get cumin for a certain recipe, just leave it out or supplement with some other spice. You aren't a contestant on Master Chef, so no one will be looking for certain flavor notes the day the meal is thawed and re-heated. Substitute other ingredients when you can, but if you're just missing something -- unless it's the main ingredient in the dish -- just leave it out. 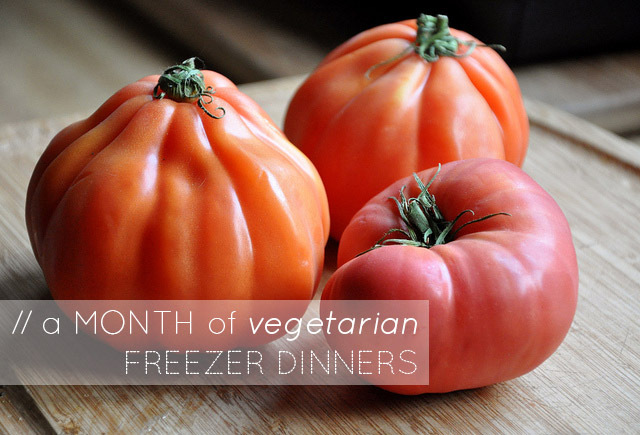 #8: Make freezer favorites work for you. A not-so secret secret? I hate pasta. Especially gigantic, brick-like creations like lasagna. But you know what? Lasagna freezes famously well. So, instead of passing over this no-brainer, I decided to add it to my recipe list and make changes that appealed to me. There's no rule saying you HAVE to follow recipes exactly, so I lightened up the tomato sauce by adding lots of veggies and replaced all the cheese with a tofu ricotta. 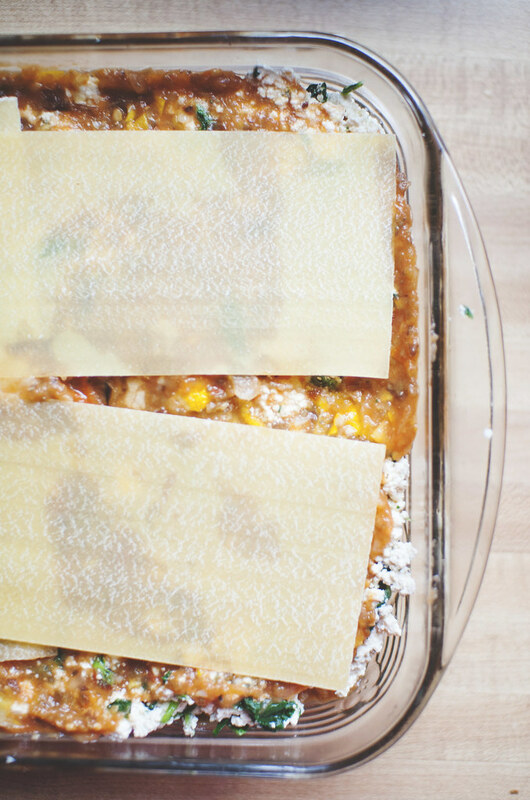 Casseroles are another natural when it comes to freezing. Experiment with making one using your favorite ingredients. 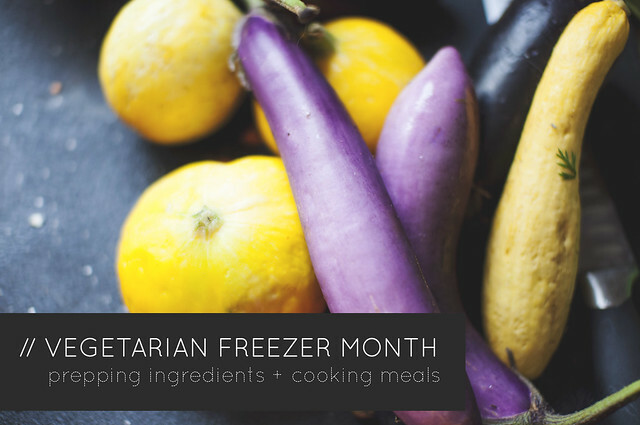 Spend some time researching the types of recipes that freezer well and thinking of special ingredients you like that would work with them.